HIDIVE is a new anime streaming service that offers a plethora of titles to watch. A few of the titles included in their catalog are: Is it Wrong to Try to Pick Up Girls in a Dungeon?, Clannad: After Story, Persona 4 the Animation, Food Wars! Shokugeki no Soma, Beyond the Boundary, Black Bullet, Chivalry of a Failed Knight and much more. 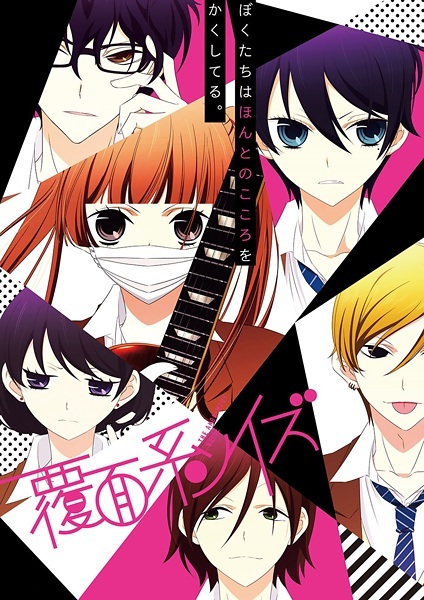 The service offers both subbed anime and a select few English dubbed anime. You can check out more of their titles from their official site HERE. The streaming service recently acquired two new titles to stream in select territories. 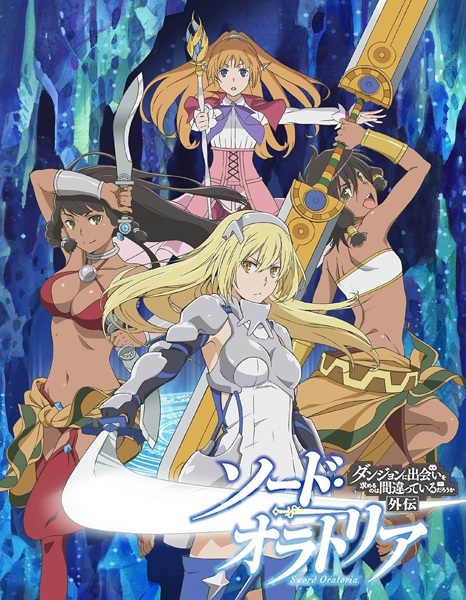 The first of these titles is Sword Oratoria: Is it Wrong to Try to Pick Up Girls in a Dungeon? On the Side. Ais Wallenstein, the Sword Princess of the powerful Loki Familia, is the strongest female warrior to descend into the dungeons below Orario. Within its subterranean depths, Ais and the other members of the Loki Familia discover a strange irregularity lurking in the darkness. As the mysteries of her past and the dungeon’s present unfolds, Ais will fight to protect not just her party, but the fate of the world above. Nino Arisugawa loves to sing. As a child, she met two boys that changed her life: Momo and Yuzu. One broke her heart while the other one mended it. Making a promise with each one of them, they all part their separate ways, but Nino commits to singing every day. She hopes that one day her songs will reach them. Her first year of high school starts, and so does her reunion with childhood friends who would rather forget than remember their time together. Australia, New Zealand, South Africa, Argentina, Belize, Bolivia, Brazil, Chile, Colombia, Costa Rica, Dominican Republic, Ecuador, El Salvador, Falkland Islands, Guatemala, Guyana, Honduras, Mexico, Nicaragua, Panama, Paraguay, Peru, Puerto Rico, Suriname, Uruguay, Venezuela. HIDIVE is currently in its beta stages and a subscription to the service is $3.99 a month. Are you ready to watch these shows on this new streaming service? Patrick is an avid fan of both video games and anime. He has been a fan of anime since his older sister introduced him to the genre when he was younger. He grew up watching shows such as Cardcaptor Sakura, Digimon Adventure, Gundam Wing, Dragon Ball Z, Tenchi Muyo and Yu Yu Hakusho. His favorite games include Persona 3 Portable, Steambot Chronicles and the .hack//G.U. trilogy. He strongly believes that Sinon, Maki and Mash are best girls.